Chamber Mixers were named "Best Networking Event" for 2019! To print your own PDF copy, click here! Business Over Breakfast is a monthly networking event that includes featured presentations on current affairs, new Chamber member introductions, announcements, and time for networking. Click here for all of our 2019 BOB's! 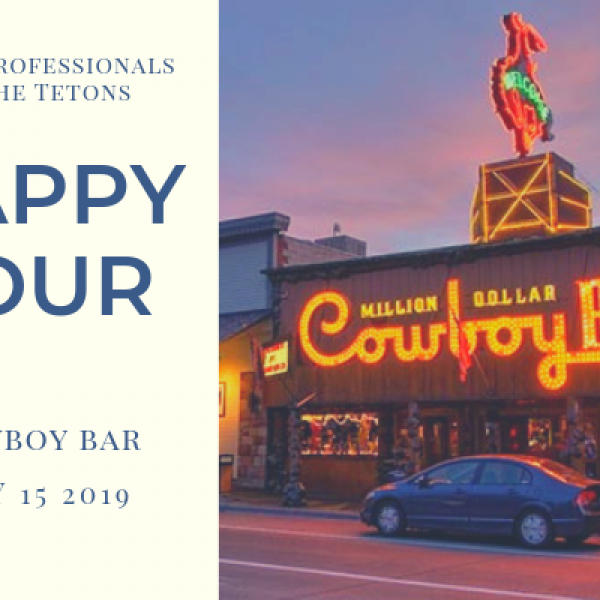 Also known as BOB's, these events are held at a variety of locations around Jackson Hole on the first Thursday of each month from 7:30-9:00 AM. Registration includes breakfast, which is served buffet style. Coffee and tea are available before the program begins and attendees are encouraged to mix and mingle. This unstructured networking time is followed by round-table introductions from all attendees, which is a great help when working to remember new names! New member introductions follow. Attendees are encouraged to bring business cards, handouts and flyers may also be distributed. Registration is $16.00 for Chamber members and $25.00 for the general public. You can pay by cash, check, or credit card morning of the event. RSVPs are required by 2:00pm the day before the scheduled event. Simply email events@jacksonholechamber.com to register. to showcase your business by hosting a public event at your location, open to community members and your new potential customers. Chamber Mixers are hosted by Chamber businesses on Thursday evenings from 5:00-7:00 pm. 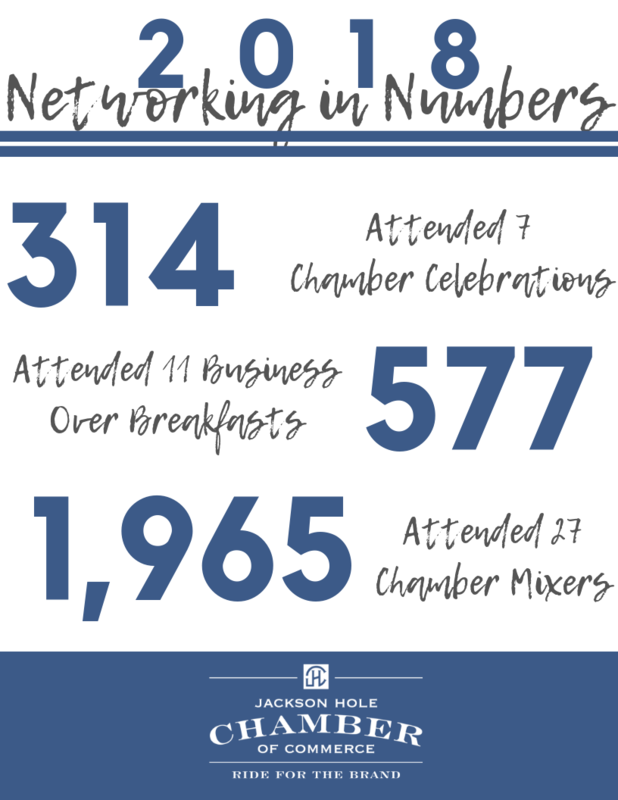 If you are interested in hosting a mixer contact our Special Events Manager, Caitlin Colby at caitlin@jacksonholechamber.com. To boost event success, we encourage the host to pursue additional collaboration and promotional opportunities. If you have any interest in hosting a Chamber Mixer please email Caitlin Colby, Special Events Manager, at caitlin@jacksonholechamber.com. See all upcoming mixers below! Chamber Celebrations are held on Tuesdays from 5:00-7:00pm. Chamber members host these events to celebrate grand openings, anniversaries, and notable achievements. Open to the public. Click here to see the Chamber celebration contract and learn more! If you have any interest in hosting a Chamber Celebration please email Caitlin Colby, Special Events Manager, at caitlin@jacksonholechamber.com. Join the Chamber for our Spring Business Development Luncheon! Join the Chamber for the Spring Business Development Luncheon! 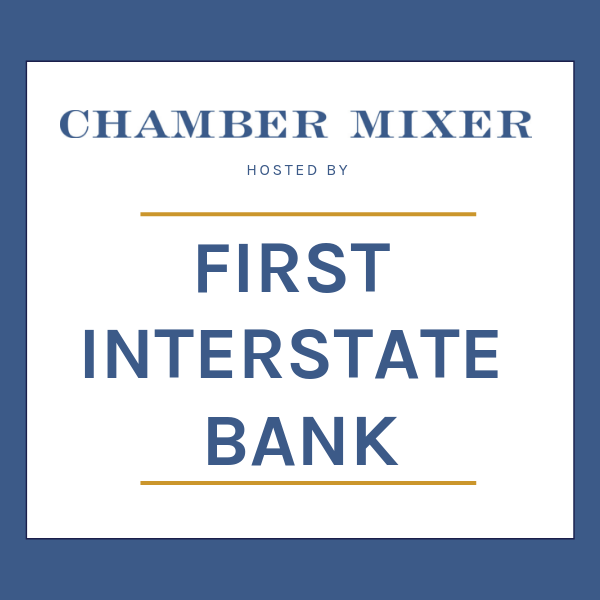 Join First Interstate Bank for a Chamber Mixer! Join the Chamber for our monthly Business Over Breakfast! Come up the butte to see Spring Creek Ranch for their spring Chamber Mixer! Come to Town Square to see thousands of antlers for sale and support the Scouts! See all the Mountain Man Rendezvous has to offer with a variety of vendors and competitions!